We regret that we are not able to give in our paper a complete report of the splendid speech delivered under the auspices of the Dublin Trades Council on Tuesday, January 15 by Father Laurence, O.F.M.Cap. It was by far the most significant speech yet delivered in the Trades Hall, and the meeting at which it was delivered was the most typically illustrative of the spirit of the times. Here we had a great meeting of workingmen and women overwhelmingly Catholic in their religious faith, gathering together to discuss problems of social life and national aspirations with a priest whom they held in affectionate esteem, but insisting upon discussing these problems in the spirit of comradeship and equality. Perhaps nowhere else in Europe could such a meeting on such terms be held, and in such harmony between the parties concerned. At one part of his address the reverend lecturer justly attributed the present position of the Church in France to the fact that Catholics in that country had wasted their time in dreaming of the impossible restoration of a monarchy instead of grappling with the practical work of social regeneration under the new conditions established by the republic. It is safe to say that such meetings as that of Tuesday are safer guarantees for Ireland against the growth here of anti-clericalism of the French type than would be all the pamphlets of the Catholic Truth Society, without such friendly discussions between the clergy and the laity. They are a sign that the lesson of France has not been lost, that the Church recognises that if she does not move with the people the people will move without her. It is generally recognised in Dublin that the editor of this paper represents the most militant, and what is called the most extreme, type of the labour movement. We are glad, therefore, to be able to say in all sincerity that we could see no fundamental difference between the views expressed by Father Laurence and those views we ourselves hold and never hesitate to express. The differences were apparently only differences of definition. The reverend lecturer called things by certain names, we would use totally different names, but in essence the things were identical. We both endorsed the principle embodying the things whose names we could not agree upon. For that reason we on our part, being more anxious for satisfactory results than for correct definitions, would not press to contention any of the seeming points of difference. To be brief, here is our position as we defined it in the name of the Irish labour movement: We accept the family as the true type of human society. We say that as in that family the resources of the entire household are at the service of each; as in the family the strong does not prey upon and oppress the weak; as in the family the least gifted mentally and the weakest physically share equally the common store of all with the most gifted and the physically strongest; as in the family the true economy consists in utilising and conserving the heritage of all for the good of all, so in like manner the nation should act and be administered. Every man, woman, and child of the nation must be considered as an heir of all the property of the nation, and the entire resources of the nation should stand behind all individuals guaranteeing them against want, and multiplying their individual powers with all the powers of the organised nation. From the organisation of labour as such we propose to proceed to organise upon the co-operative principle that we may control the commodities we ourselves use and consume. Upon such a basis we can build a true demand for Irish made goods from which all elements of sweating have been removed. Recognising that the proper utilisation of the nation’s energies requires control of political power, we propose to conquer that political power through a working class political party; and recognising that the full development of national powers requires complete national freedom we are frankly and unreservedly prepared for whatever struggle may be necessary to conquer for Ireland her place among the nations of the earth. That is the programme of the militant Irish labour movement. We are rejoiced to find amongst the clergy so many whose hearts also throb responsive to those ideals. 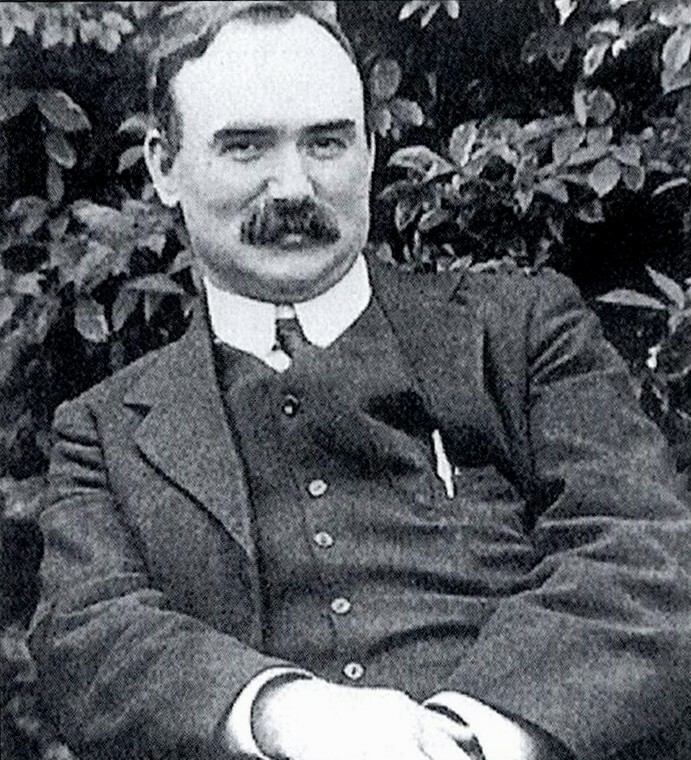 Next Connolly: What Is Our Programme?